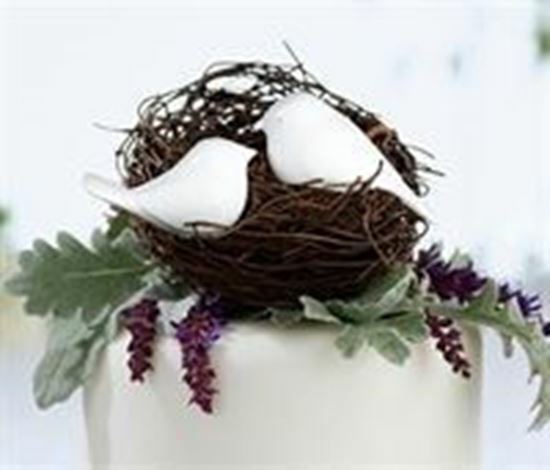 Love Birds Cake Pick - White Decorate the wedding cake with this charming pair of love birds. Each cake pick is made of resin and painted in a glossy white. The nest in the photo is not included. One bird is 1.75' tall (not including the 1.5' pick) and 3' wide. The other is 1.5' tall (not including the 1.5' pick) and 2.75' wide.